Oxmar Properties is a SME land developer based in North Brisbane. Despite their strong portfolio in Greater Brisbane, they struggled to gain increased brand recognition in the local market and online. Oxmar Properties engaged with Marketplace from June 2017 to develop a comprehensive brand building exercise that would leverage Oxmar Director Phil Murphy’s sponsorship of WBO Welterweight World Champion Jeff Horn. Alongside this branding focus, we also created an in-depth digital marketing strategy in line with a review of Oxmar’s existing digital practices. 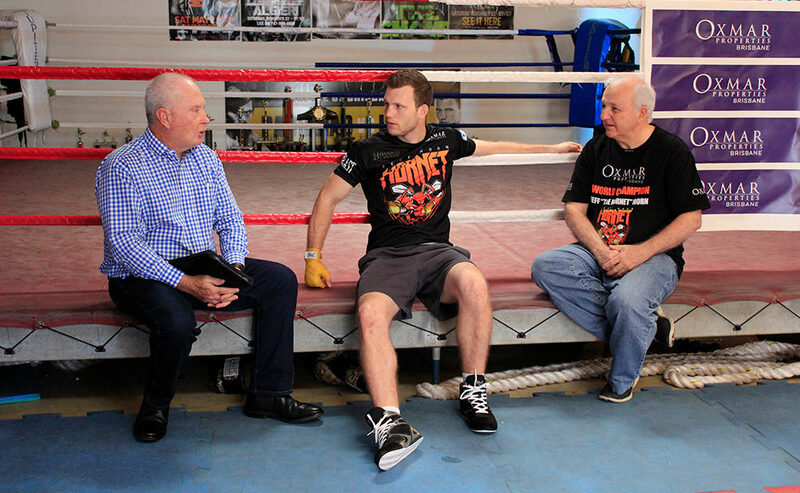 From the workshop we focused on a television and press advertising campaign featuring Jeff Horn ahead of the ‘Battle of Brisbane’ WBO Welterweight World Championships 2017. We identified this event as one of the most effective ways to market the business in Brisbane, with the associated media attention and market interest. Following the press brief Marketplace presented Oxmar Properties with a formalised digital marketing and branding strategy, which outlined all the key aspects of their marketing and branding activities. Oxmar Properties took on our strategy in-house and hired a dedicated marketer to implement the digital activities. Since June 2017, Oxmar Properties has continued to grow its presence within the Greater Brisbane market and has been heavily featured in two WBO Welterweight World Championship bouts as a major sponsor. Their ‘celebrity endorsement’ using Jeff Horn in a television commercial Marketplace produced and coordinated saw roughly 1.3 million views over two weeks, within the designated target market 25-54 years old. A targeted press insert campaign Marketplace produced and coordinated also saw major spikes in Google search results for ‘Oxmar Properties’ on the day it was published within a Newscorp publication. Marketplace continues to oversee their marketing and press activities; ensuring that their activities are on track and running smoothly. We are working with Oxmar to provide media relations support; and offering new business opportunities and assistance wherever possible.